In a culture where it's easy to think of ourselves as self-made, we need a reminder that all blessings have been given to us by a generous God. 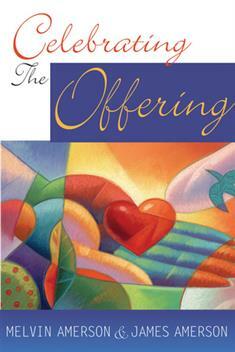 In many congregations, the offering happens without much forethought. We may even consider it a crass interruption to the spiritual flow of worship. But it's actually an important, biblical part of the service. It gives us a chance to focus on giving thanks and giving back to the God who has so generously given to us. If you're looking to revitalize the spirit of generosity in your congregation, you'll find simple and effective ways to incorporate the offering into the deepest fibers of your worship experience. "Most Christians grow in generosity as they grow spiritually," write the authors. "Churches grow in generosity when stewardship is preached, taught, embraced, and celebrated. For the celebration to occur, a process of transformation needs to take place." The Amerson brothers address concerns and misunderstandings about the practice. Through biblical precedents, prayers, litanies, and examples, they demonstrate how to reshape the offertory into an authentic celebration involving all members of all ages. As noted preacher Zan Holmes says in the Foreword, "[The authors'] insights and practice convey a deep understanding of this often misunderstood and maligned component of our lives as followers of Christ: simply put, our faith informs the way we live, including how we spend our money. Celebrating the Offering brings our faith closer and closer to the center of our livesà[where the offering] becomes a natural expression of who we are as Christians."